Poor Mamo had been living in a purple room for a while so I decided to redecorate a little bit. 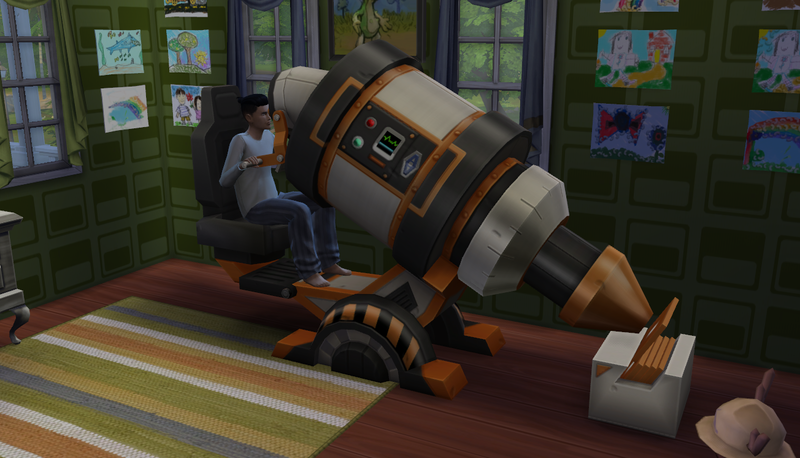 The kid art stayed, of course, but with a teen smartypants in the house I thought it was important that we finally add a microscope to the mix. Also, I did not realize how huge it was. Wow. 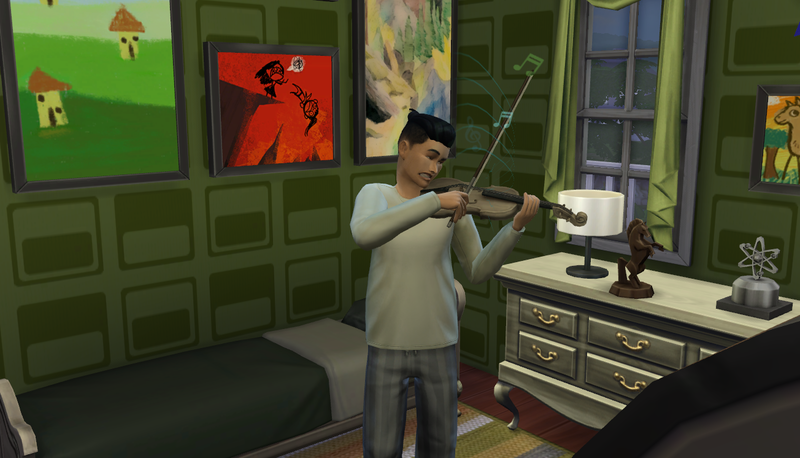 He also had the whim to play violin so I had him continue where he left off as a child. As you can see, he’s not quite up to snuff. No matter, he’ll get there eventually. 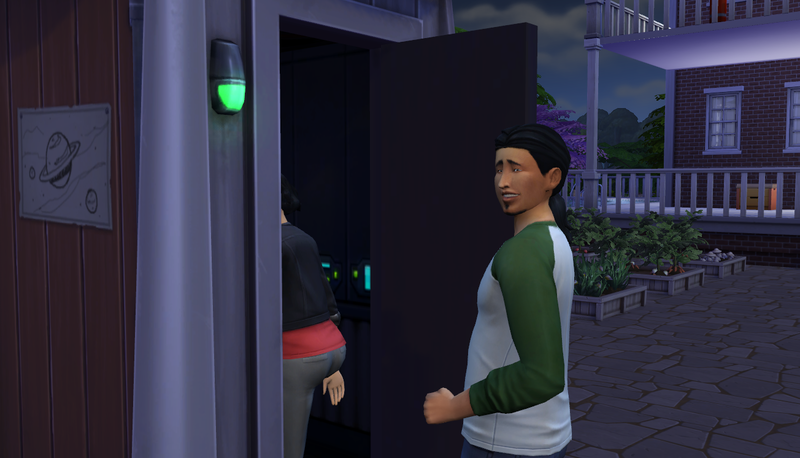 Oh, I didn’t tell you his new traits! To add to his existing hot-headed trait, he rolled genius (PERFECT) and the aspiration for a successful lineage. We can work with that. 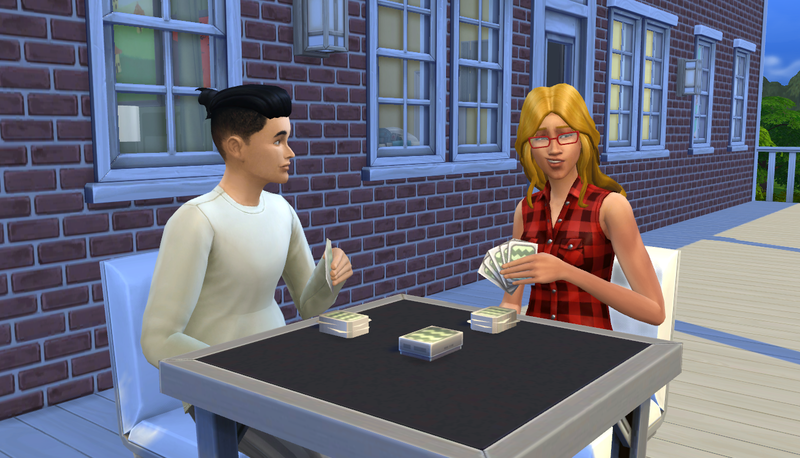 They headed up to the second floor deck for a game of cards. This girl’s got personality! They played for several hours that afternoon before she went home. 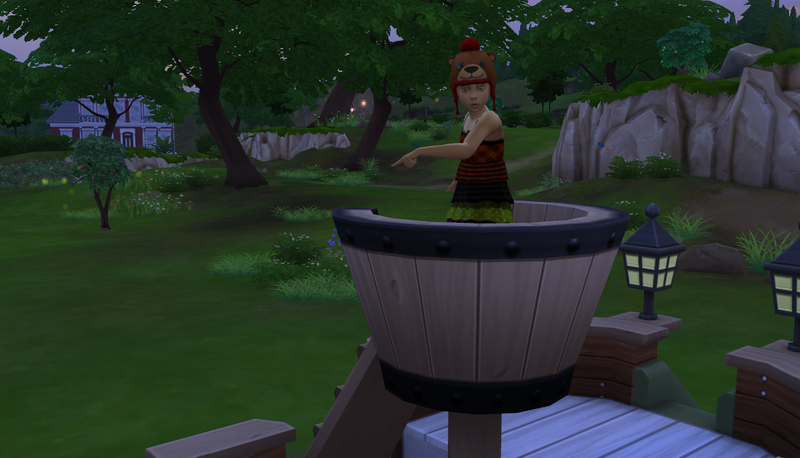 Later that evening, Masumi needed a bit of fun so she popped into her pirate ship and started her quest for sea monsters! Look who showed up: Great Aunt Aya! She’s still looking beautiful, of course. She and Masumi got along pretty well. I was happy to see that Aya and Natsuki became good friends during this time. 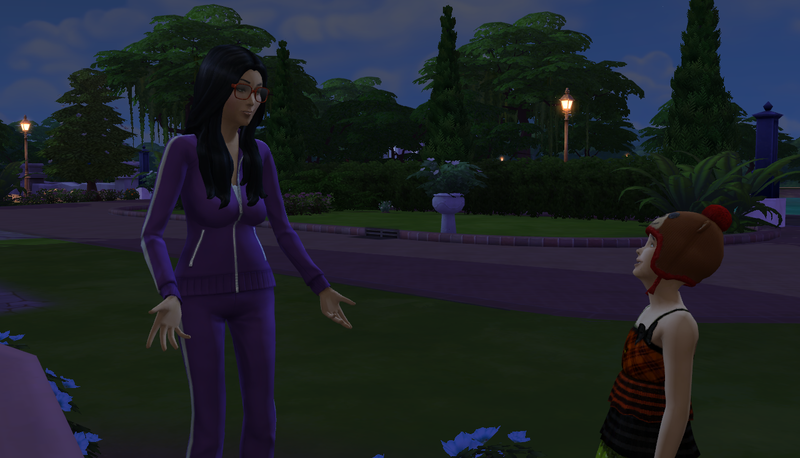 Masumi had her own idea of what to talk to Aya about: OLD AGE. Aya was a little offended. I would be, too, since Aya doesn’t really look like an elder. I can hardly believe it, myself. I’m really afraid that it’ll soon be her time and I’ll miss it. 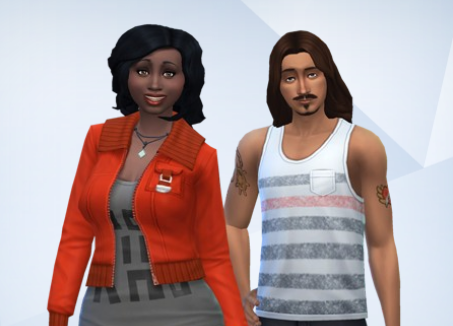 It makes me want to move her back into the legacy home so we’ll have her ghost. 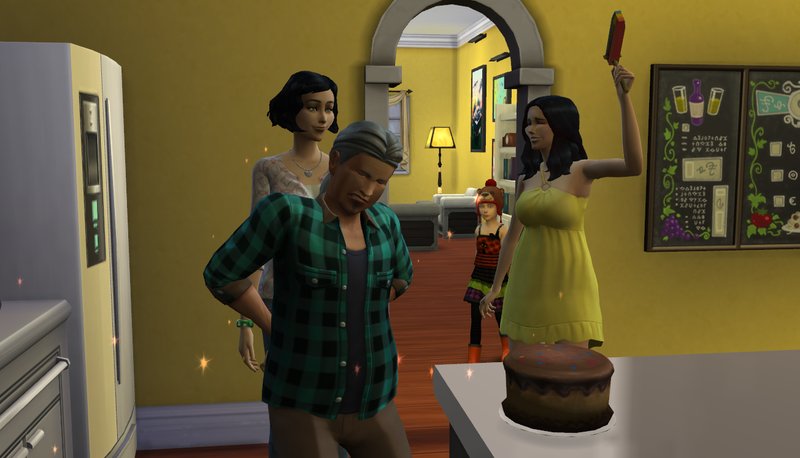 The Aya in CathyTea’s Hippie House is still a young adult (it’s almost her birthday!). 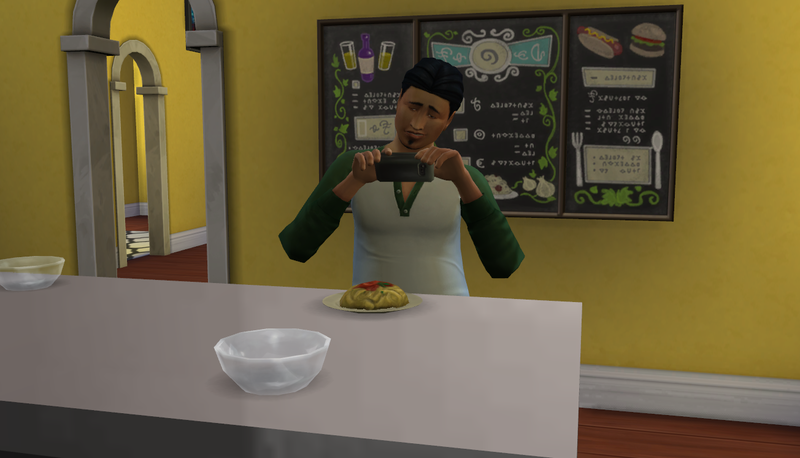 My sims aren’t really game aware in this world (they don’t think about it, really) but the Aya in the Hippie House is most likely TOTALLY game aware. How could she not be? Oh, I forgot to mention! With less to do at home now, I decided to try and have a go at Nade’s aspiration: Joke Star. 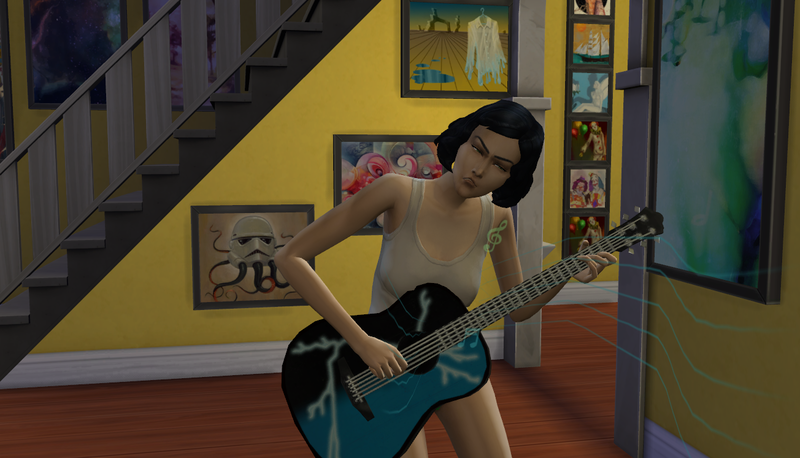 She joined the entertainer career and started to learn guitar. 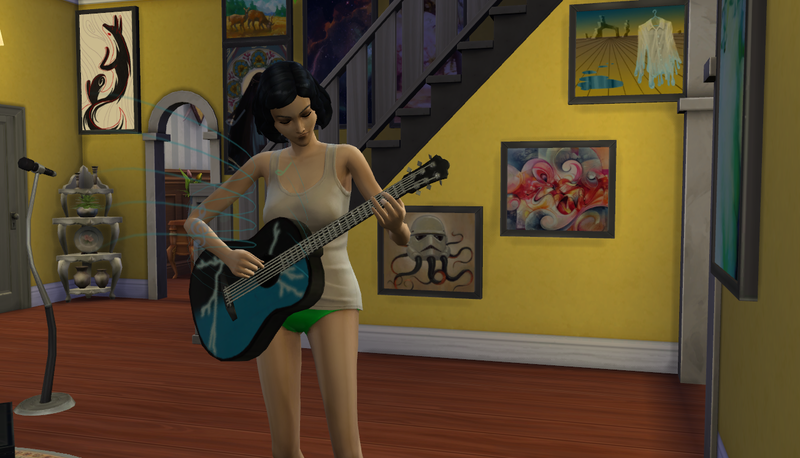 Playing guitar in your underwear is totally acceptable when you’re home alone. 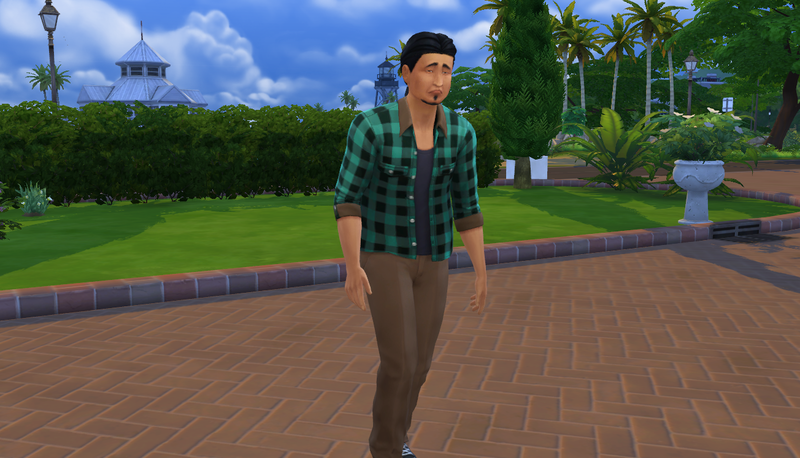 Anyway, you can see how excited Maddox is to come home from work and celebrate his birthday. ← Chapter 56: Super Genius!